Update 3 May 2018: Eight years later, there's also the start of an additional era: La Mouette Opening a new 'Upper Bloem' restaurant – in Green Point. With a name like La Mouette it’s not hard to guess that the cuisine must be French. La Mouette restaurant in Sea Point is the new 'Frenchie' around the corner for locals with a taste for finer food options and a destination restaurant for Cape Town’s foodies. Maybe you know the space – the well known Europa restaurant was situated in the building at 78 Regent Road for a long time and after that it was called Russel’s Carvery. 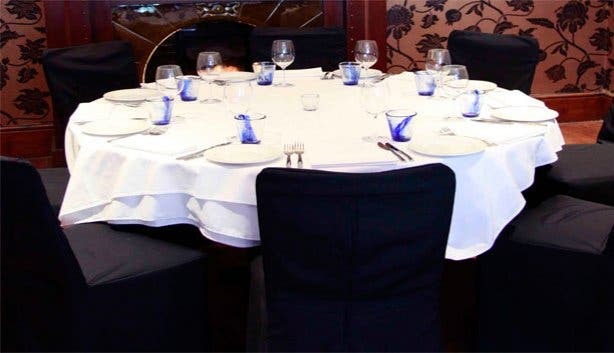 The beautiful building was empty for a year before becoming this French style finer dining hot spot – for private dinners, corporate functions and parties. La Mouette means seagull in French. Since Sea Point has lots of seagulls and you can smell the sea breeze from the La Mouette courtyard, the name is quite suited. The restaurant was a mutual dream of three young people: Gerrit Bruwer, Mari Vermaak and Henry Vigar. Gerrit (35) and Mari (31) met during their university days in Joburg and often spoke about opening a restaurant together one day. Mari left for the UK to gain experience in the food industry for a couple of years. There she met Henry (29), they fell in love and soon decided to move to the sunnier side of life, here in Cape Town. After meeting up with Gerrit again (who also owns a printing company in Joburg), they found the Sea Point venue and decided this was where they would make the dream come true. 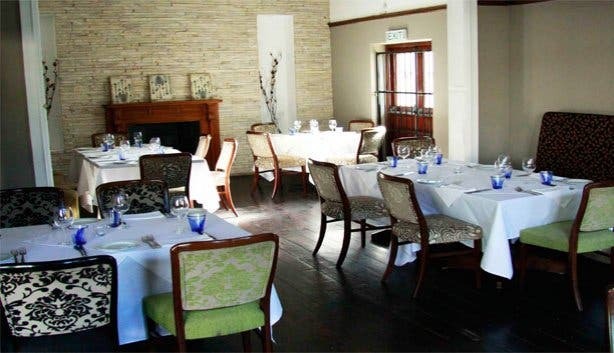 La Mouette opened on the 1st of May 2010 and so far it is well visited by locals and people all around Cape Town. It’s a cosy, intimate place, perhaps because the three people who own it together love each other. It feels familiar, like it’s been there for quite a while. The building and interior itself feels like it has stories to tell. It has a good old character, enhanced by the happy and friendly atmosphere. "The venue really made the restaurant" says Gerrit. La Mouette has a couple of dining rooms (each one with it’s own fireplace), so privacy and lots of warmth is always guaranteed. Chef Henry Vigar has a chef-CV many would dream about. He used to work in the South of France and at La Mouette he also tries to bring across a that sought after Mediterranean flair. Suprise, surprise. 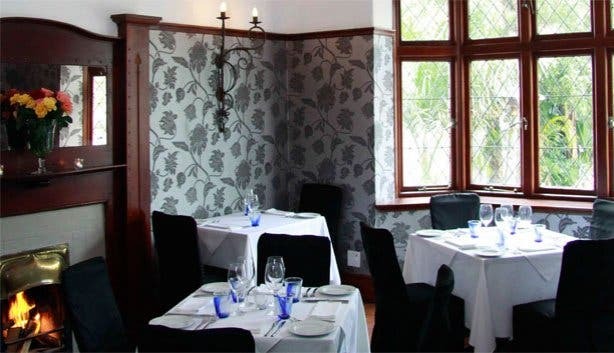 La Mouette is an upper class restaurant, but affordable. It is "finer dining", as Gerrit, Mari and Henry say. It looks like fine dining but it’s more approachable. Voilà, we are here to have a La Mouette lunch. For starters (R35 each) I’m having Tuna tartare with avocado puree, toast and cress. It’s fresh, looks beautiful and is served as a hearty portion. My colleague Lize chooses a potato fondant with caramelized onion, crispy pancetta and brie. The flavours are indulgent and perfect to whet the appetite for the next course. For mains (R80 each) Lize has the Braised Veal Short Rib with lentils, sweet potato puree and pickled shiitake mushrooms. Sounds complicated but is simply delicious and a must-try. My Confit Duck with a peppercorn sauce, red cabbage and sautéed potatoes is breathtaking and reminds me of all the yummy Sunday-lunches my hobby-chef dad prepared. We are already convinced that we will return when we are in urge of delicous good food. The French onion soup would make a magnifique light lunch, especially at R35 and combined with a nice glass of wine from the well selected wine list. There is also a selection of Tapa style dishes to linger over, also well priced at R35 each. La Mouette has some firm favourites on the wine-menu, including choices from L’Avenir, Villiera, Tokara, Jordan, Warwick and Waterford as well as French Champagne (Moet and Bollinger) - for when the occasion absolutely calls for extravagance. Already more than full-filled, we try the desserts (R35 each), simply because they come absolutely recommended. 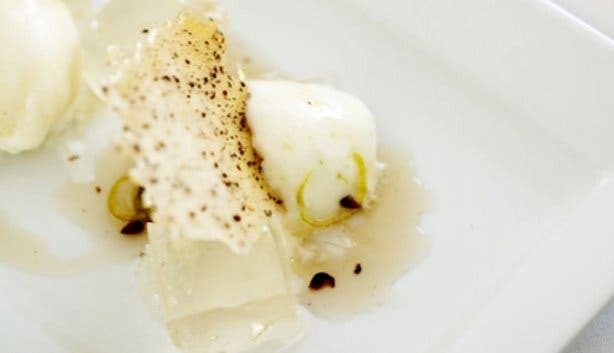 "This was orgasmic," said one happy customer about Gerrit’s favourite dessert, the 'Gin and tonic' – which, by the way, contains no alcohol and is simply made from tonic jelly, gin syrup and lime ice cream. A close second is the passion fruit curd which is served with bite sized doughnuts and topped with Greek yogurt and honey foam. We agree that it is just as orgasmic as the Gin and tonic. Mari, chef Henry’s fiancé talks about La Mouette’s philosphy and says "We want Sea Point to become a eat-out-destination with world class food and we wanna add to that. We are a couple and a bunch of friends, this is a happy space, we all gel very well". Henry adds: "We wanna cook nice food in a nice environment and have an excellent service". After these words you just have to visit this 'Frenchie' for a lunch or supper. 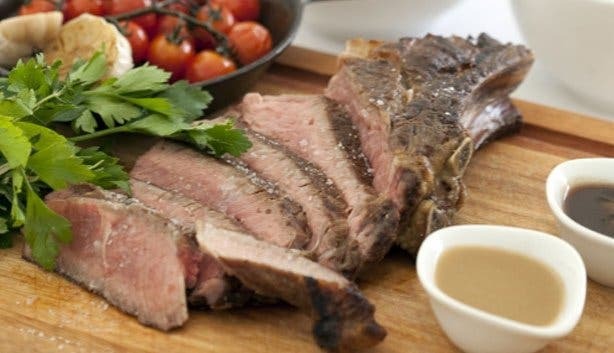 The dinner-menu offers a slightly bigger and more formal variety of dishes, starters cost R50, mains R110 and desserts R50. Visitors call La Mouette a small oasis in Sea Point. We think it’s like a fresh sea breeze in an area too long left without fine cuisine. Adore the La Mouette experience? You'll love Upper Bloem, its new sister restaurant with shareable plates.